So the question is how can we add pages to blog website?? Pages helps to describes your website & about you. Before discussing about adding pages to blog just have a quick review on different​ pages which are there in most of blogs & website. Some common pages which are found in most of blog & websites. 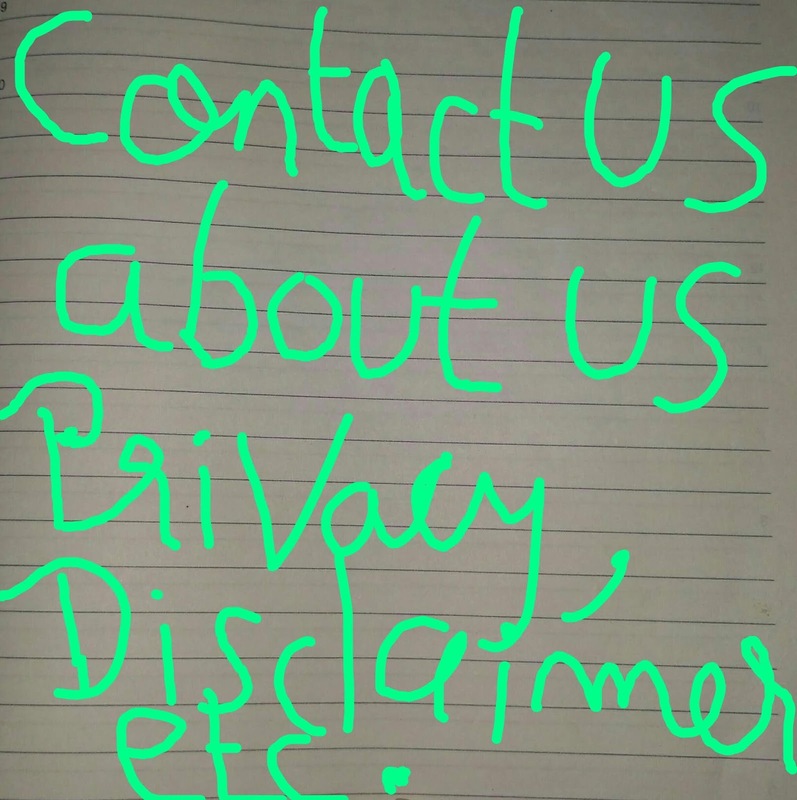 About us- This page describes about the website & what are they providing to us. This page describes the history of blog or website. Contact us- this page is generally used for contact purpose. If anybody has any query or questions related to website they can directly ask through the contact form which is provided in contact us page or it may be at the bottom of website. Disclaimer- this page describes about the information & cookies or affiliated link that may be used in websites. And other pages like FAQ(Frequently ask questions), topics etc. 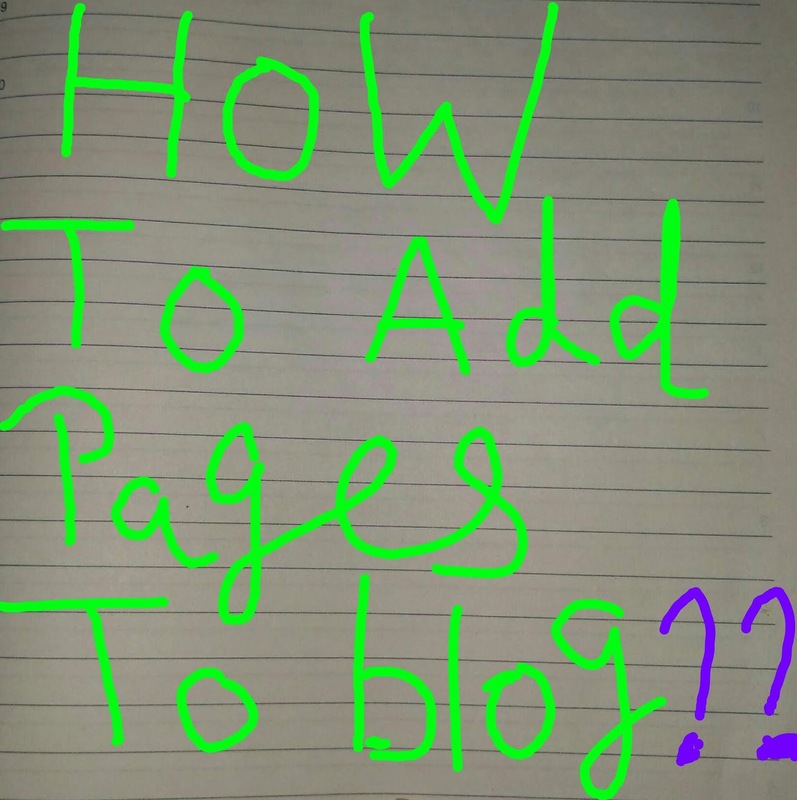 Now let's discuss about how to add pages to blogger blog or website. 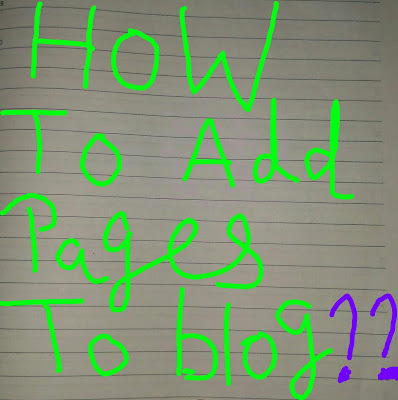 Follow the given below steps to add pages to blogger blog easily. First go to blogger.com➡️sign in using Google account➡️on left side go to pages section as show in below figure & click on new pages➡️add title to that page & write about that page and just click on publish. Create pages which you want and give title & write about that page & just click on publish. Add gadget you can add gadget on cross-column or at sidebar. There is already an page gadget in cross column it's depend upon on which theme you are using. Click on add gadget➡️there will be 29-30 gadgets as shown in below figure just go to➡️ pages gadget & select the different pages & arrange them after that click on save button which is given on left bottom side. Now go to to your blog or website & you will see that the different pages which you have created will appear. You can also add an external link to your pages section just follow below given steps. Go to layout➡️ click on add gadget or edit➡️go to page gadget➡️there will be an external link option just click on it➡️add the link & write title of that page which you want to show in pages & click on save. Now you will observe that the page with that link will appear. As pages are very important to blog or website various pages describes about your blog or website which you have created. Here are Some tips on creating pages. You can also add more pages which you think that is necessary for your website. Add meaningful terms to pages. Create pages in such a way that the visitor will attract more. 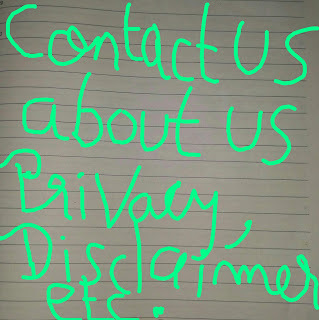 You can use website like freeprivacypolicy.com or easyriver.com to create your privacy page for your blog or website. The information in your pages website or blog is important as it shows the user about your website & category.